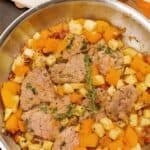 Tender pork medallions combine with butternut squash, apples, bacon, garlic, thyme and maple syrup to create this easy skillet dinner filled with fabulous autumn inspired ingredients and flavors. 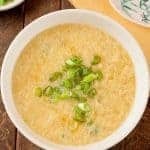 This recipe is easily adapted to be gluten free. 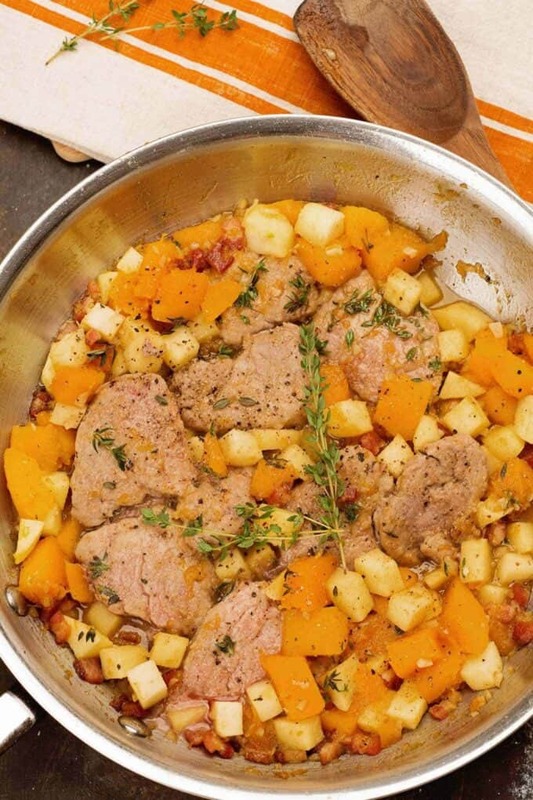 This is an autumn inspired, one-dish meal made with tender pork medallions, butternut squash, apples, bacon, garlic, maple syrup and fresh thyme. 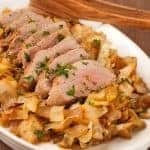 Trim any excess fat and silverskin from the pork tenderloin and slice it into 1-inch thick pieces. 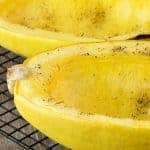 Place the slices between two sheets of plastic wrap and pound them very gently to an even thickness of about 1/2-inch. 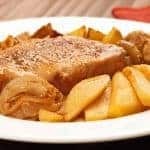 Combine the flour with 1 teaspoon of salt and a few grinds of black pepper, dredge the pork slices in the mixture and shake off the excess. 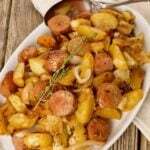 Heat the oil in a large frying pan over medium-high heat and add the pork in a single layer. Cook for 1 minute per side, then transfer to a plate and set aside. Add the bacon to the pan and fry until crisp, 3 to 4 minutes. Transfer to several thicknesses of paper towels to drain and set aside. 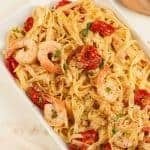 Pour the excess fat from the pan, reduce the heat to medium, add the garlic and sauté just until fragrant, 1-1/2 minutes. Deglaze the pan with 1/2 cup of the chicken broth, scraping up any browned bits that may have accumulated on the bottom. Add the butternut squash, cover and simmer until tender, 7 to 8 minutes. Add the remaining chicken broth along with the maple syrup and apple. Stir in the bacon, then return the pork to the pan, nestling the pieces in amongst the squash and apples. Scatter the thyme leaves on top and simmer just long enough to finish cooking the pork, 3 to 4 minutes. Serve immediately. 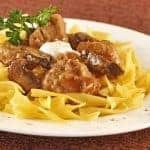 This recipe can be made with chicken tenderloins in place of the pork. The preparation and cook times should essentially be the same.